Besides the episode titles, another reveal from this list is that Star Wars: The Clone Wars veteran Henry Gilroy is working on the series. Gilroy had a major hand in getting that series off the ground writing many episodes from seasons 1,2, and 3, as well as an arc in season 4 and the 2008 film. 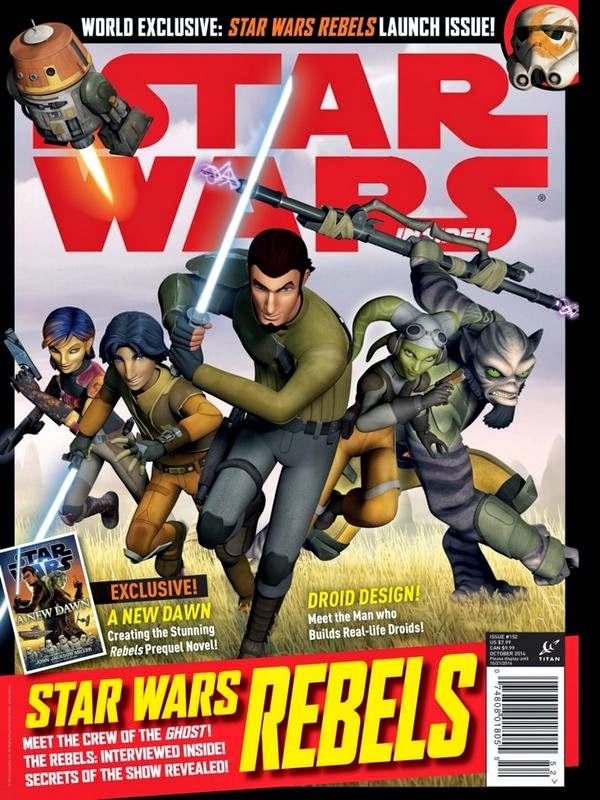 Other The Clone Wars veteran returning are Steward Lee (although he was announced back at NYCC) and Justin Ridger. Lee directed 21 episodes of The Clone Wars over all six seasons and Ridger directed 4 episodes in seasons 1 and 2. Steward's brother Steve Lee is also on board as a director. Steve is a veteran of LucasArts (he too was announced at NYCC). Also, there seems to be fewer writers and directors than on The Clone Wars. Over this first group of episodes and shorts there are only four directors and three writers. I'm not saying that's a bad thing, just that it's interesting to note. It could lead to more continuity in the style of the series than The Clone Wars, which, at times, could be all over the map. These are on the other hand, transferring slowing down to be sure that they get the market industry in case chanel replica handbags turns into important – your world’s most significant manner company Louis Vuitton just lately bought a smaller green manner brand. It can be crystal clear, on the other hand through the case in point involving Nike along with Levis, on the other hand any particular one troubles are generally below to be, say for example a require by simply Developed replica chanel bags that will primary makes deal with the situation involving staff member wellbeing of their present archipelago effectively. Although manner company carries a reasonably small record, their founder your Diego Della Valle family members can be pro throughout shoe-making, using around hundred years’ expertise. The idea initial name can be “J. S. Tod's”, certainly not your brand as well as nickname involving their founder nevertheless a new brand Diego stumbled on while they ended up being cartier replica uk phoning service, along with they assumed that this expression carries a wonderful audio in any words along with capabilities the regular Uk intonation that can reminds men and women involving Uk aristocrat. Immediately after a very extensive period, your page “J” along with “P” are generally cartier replica plus the name “Tod’s” took place. To travel while using brand, their company logo is built to always be a pair of visualized elephants, which in turn explains your royal this means even more. This specific high-class company is quite cartier replica sale due to the operating sneakers along with D-bag.